a journey somewhat familiar: excuse me sir, but you're blocking my driveway. excuse me sir, but you're blocking my driveway. um yeah, thats not a gate. 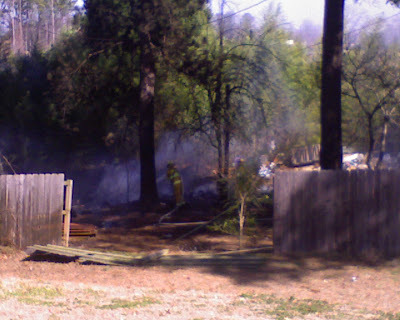 That's where said firemen took out about 10 feet of fence so they could better access the fire. This is just to the left of the previous picture. 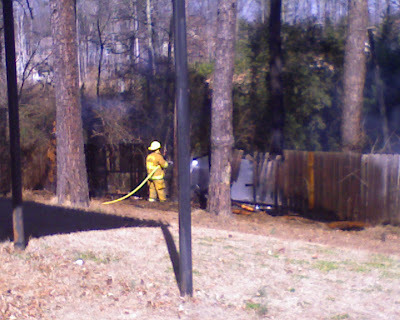 The fire went about 200 feet or so across these people's property line. Whoa! That could've been so much worse. 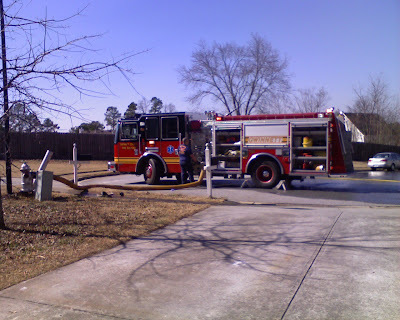 Glad to hear no one was hurt! oh my goodness! you guys had an eventful day!